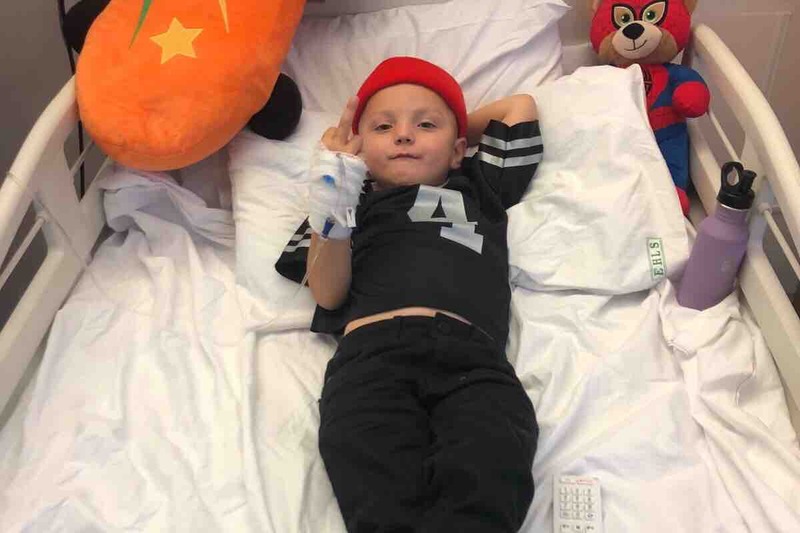 Friday 5th October was the worst day of our lives, the day our beautiful boy Franck L’Amour got diagnosed with ACUTE LYMPHOBLASTIC LEUKAEMIA (ALL) our world came crashing down on us in a split second. We were told that his whole treatment is going to last 3+ years and the first 8 -12 months are going to be the hardest for him and us. We are writing this with very heavy hearts, neither of us want to do this but the strain this is going to have on our family will be immense emotionally and financially. We also have Ruby J at home and need to keep her life as normal as possible whilst comforting Franck every step of the way. Our main source of income is Paul’s wages he brings home from Black L’Amour Barbers. He’s been commuting from Bristol to Brighton every week but now that would be impossible as we need each other 24/7 for Franck & Ruby. We are also growing Cape Gang but if anyone who owns a new business knows this is a slow process and almost impossible to pay yourself if you want to build a successful brand. WE NEED HELP! We need help financially which is something neither of us feel comfortable asking for. Like everyone we have rent & bills to pay and more so now that winter is fast upon us and with no constant flow of income coming in we will face the unthinkable. We have amazing family that can help but equally they have their own families to support and we can’t all put strain on each other. This is honestly the shittest most painful situation we’ve ever had to handle. Our hearts have been broken There is never an easy way to ask for money but If you could give as little as £1 we would be eternally grateful. P.s As much as we need help we also realise that there are a lot of families and kids out there that need it too. Which is why we plan to fundraise our arses off to raise awareness and money for Bristol Royal Hospital for Children & Clic Sargent.